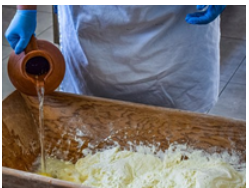 Ingredient: Any substances or materials that are required to produce a dish are called Ingredients. Example: Atta (flour) and water are the two ingredients required to make a chapatti. 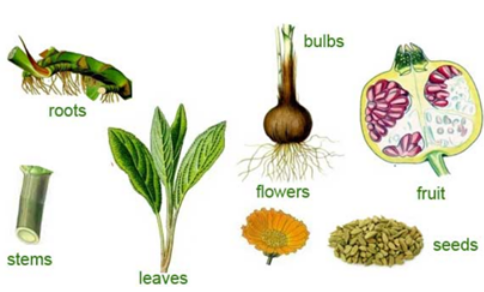 Plants act as sources of food ingredients such as fruits, vegetables, grains, pulses etc. Animals are sources of food ingredients such as milk, eggs, meat products etc. These are shown in the figure above. First we have the herbivores i.e. plant eaters. They only consume plant parts. Examples: Cows, goats, deer, giraffe etc. 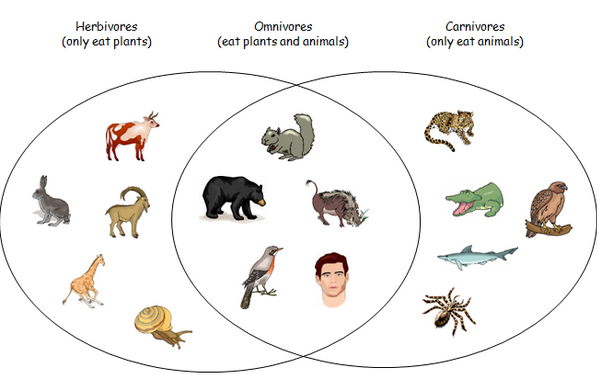 Next we have the carnivores i.e. meat eaters. They only consume meat of other animals. Examples: Lions, tigers, vultures etc. 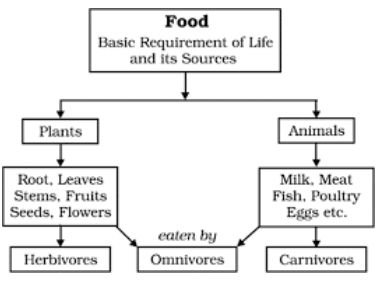 Last we have omnivores i.e. animals who eat both plant parts and meat products. Examples: Humans, bears etc. There are five major components of food namely vitamins, minerals, proteins, carbohydrates and fats. While the diet of carnivores is rich in fats and proteins, there are some necessary vitamins and minerals in plant-based foods that their diet lacks. Similarly an all plant-based diet lacks in a good amount of protein and certain minerals. It is important to know that there is difference between vegetarians and herbivores. While vegetarians make a conscious decision to not eat meat, herbivores on the other hand are incapable of eating meat and dairy products. Similarly carnivores lack the necessary enzymes in their stomachs to digest cellulose which is a major component of green food like grass. 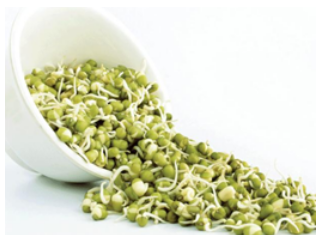 Sprouting: The process by which seeds shoot out small white structures as way of growth is called Sprouting. Cellulose: It is a substance that is found in the cell walls of a number of plants. It is an indigestible fibre and is found in grass. Enzymes: It is defined as a chemical substance that helps in bringing about changes to certain other substances without undergoing any changes in themselves.